We woke to partly cloudy skies and cooler with dark clouds east of us. By 750am, we had rain. It continued to rain on and off through 10 am. We enjoyed the cooler weather which mind you was still in the lower to mid 80’s. Typical the daily forecast is high of 28-29C and low of 25-26C. Which is 82-84F and low in the mid 70’s which sounds on paper really good, but the humid it makes it feel much hotter. After Phil emptied the rain water out of the dinghy, we went to get out jerry jugs refilled, then it started to rain again. We stayed under a covered area on the dock, with my bag on a shelf. Water jugs filled, we went to wash clothes at Spice Island Marina. That’s when I remembered just as we got to the dinghy dock, that I had left the bag on that shelf where we got water. So back we went and thankfully, it was still there. Then Phil wanted to wait as there was a black cloud not to far away. I said lets go, and we did. I should have listened to Phil, because it started POURING and we were soaked by the time we got to Spice Island Marina. That was about it for the rain that day. It cooled us off and after an hour or so, we were dry. It’s about $17+EC to wash a half a load of clothes and dry them. Why half load, because that how high the water gets in the washing machine. Go figure! So we had two half loads and while we waited, had hamburgers at Timbers Beer Garden. We waited some more but at least we had Internet. After the clothes were dried and folded, we dinghied over to Vision Quest and were invited aboard. Peggy was sewing with her Sailrite. We talked about our plans for leaving tomorrow and then I put our MMSI number into their VHF radio so we could contact each other directly. I’ll contact them so they hear what it sounds like. We went to the Tiki Bars for gas for the dinghy (after all we had used it for the back and forth trips 😊) and then we spent time audio Facetime’ing with Victoria, Phil’s daughter. Finally back to the boats we filled the water tanks, put the outboard on it’s holder on the stern rail and put the dinghy on deck just as the last of the light was fading. We had Johnsonville Brats and Cabbage for supper and ate up the last of the rice from the chicken and rice dish. 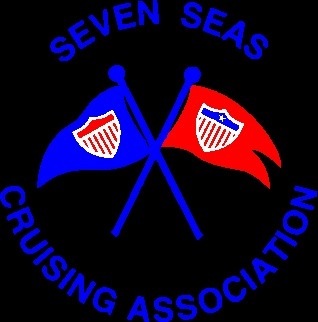 We plan to wake at 530am to leave as close to 6am to get to Tyrrel Bay, Carriacou tomorrow. I’ll have the Spot tracker on. 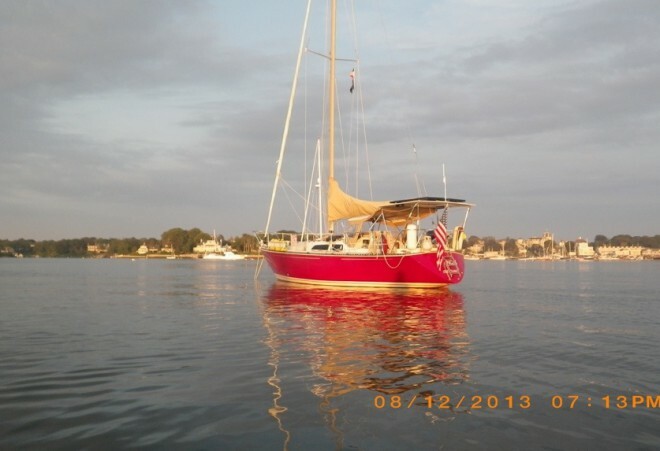 This entry was posted in 2014, Caribbean, Grenada, weather and tagged FaceTime, rain, Spice Island Marine, Tiki Bar, Victoria. Bookmark the permalink.